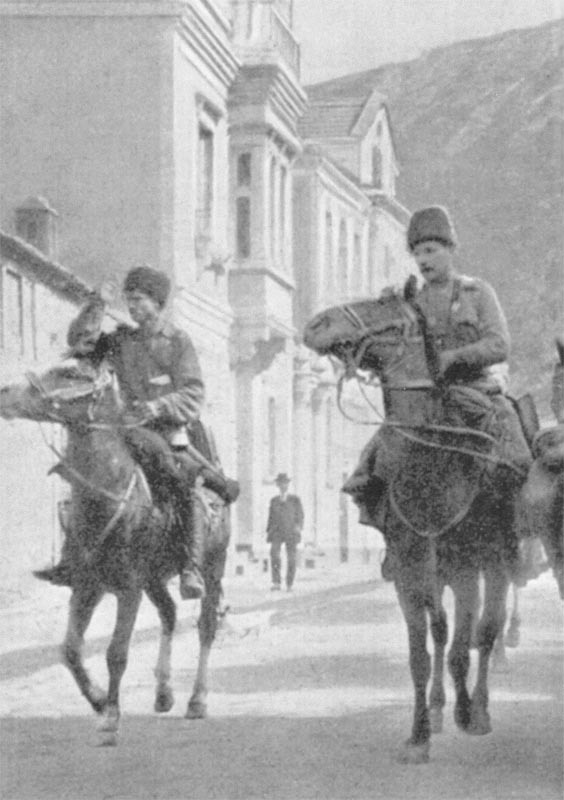 Armenia: Lyakhov occupies Trebizond (Turks evacuated night April 15-16) and engages Turk rearguard 15 miles south next day. Black Sea: Russians capture port of Trebizond. Black Sea Fleet transports 53,000 troops in 2 operations during this campaign. Russian general Brusilov reprimands Easter fraternization: ‘I declare once and for all that converse with the enemy is permitted only by gun and bayonet’; officers to be tried. East Africa: 650 South African soldiers capture Kondoa Irangi (until April 19) from c.400 German troops. Western Desert: 1,600 British soldiers reoccupy Kharga Oasis evacuated by Senussi, also Moghara Oasis (April 27). Britain: Cabinet conscription crisis; Milner and Derby urge it in House of Lords.